strewn like broken gravestones, the current is stronger. Regular readers may remember how much I liked The Dreamsnatcher – Moll Pecksniff’s first outing. (Here’s the review). Well, Abi Elphinstone’s pulled off one of the hardest things – a second book which is better than the debut. 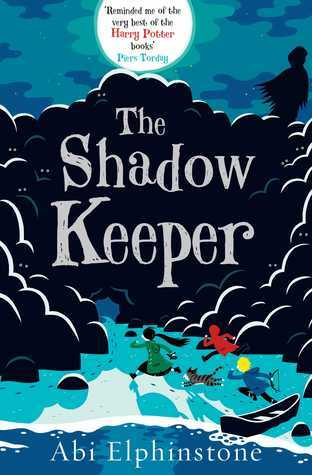 It still has all the ingredients that delighted readers in the first: a wild yet loveable heroine, lots of peril and courage, outdoor escapades in spade-loads, and humour. This time, though, there’s more depth to the friendships and growth in Moll’s character. Through the excitement, fear and magic both she and the reader learn a great deal about loyalty, trust and love. That sounds a bit heavy – but it definitely is not a stodgy or preachy read. The action cracks along – with some ‘baddies’ you will love to hate – and I will warn you, some rather sad moments. Still, in the same way that the liveliness of the characters and their dashing adventures feature on the striking cover from Thomas Flintham, the story gallops along joyously. The only drawback for readers is that the third book won’t be out till 2017!